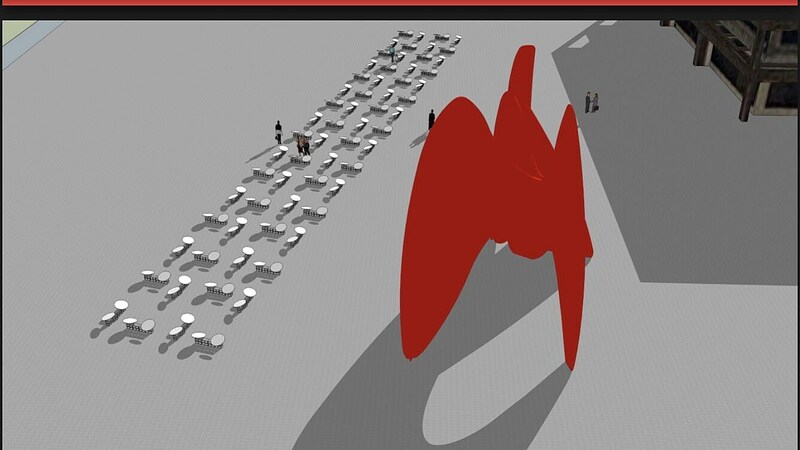 The winner, artist Gustavo Prado, will bring an installation of concave and convex mirrors to Calder Plaza at ArtPrize, this fall. The event was modeled after prior ArtPrize Pitch Night events where a group of judges select a winning artist/art installation to receive money and a prime location at ArtPrize. Just getting seen among hundreds of ArtPrize entries can be a challenge, but Prado’s “River of Mirrors” will have every opportunity to get noticed by both the public and the jurors thanks to its size and location. It’s not the first time we’ve seen large-scale mirrors at ArtPrize. 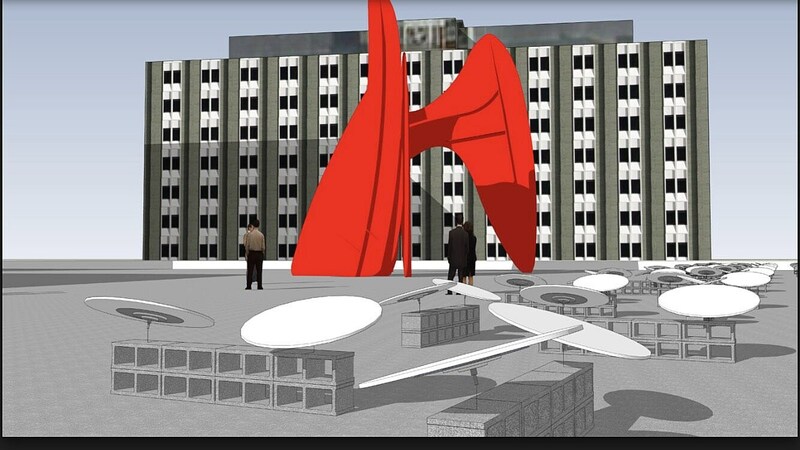 It’s also not the first time we’ve seen a large-scale installation at Calder Plaza. Prado’s installation aims to use the site and medium to reflect and amplify the landscape it occupies. ArtPrize returns to Grand Rapids from Sep. 19 – Oct. 7, 2018.